Hello lovelies! How has your week been? It has been pretty cruisy here. The days have stretched out, school holidays an’all, and, of course, they are getting that little bit longer now that we have passed the equinox. Here are four snapshots from my week. My girl has a performance exam coming up in about a month so we’ve been doing the costume search. Delighted to find this one at the wonderful Rose Chong. The lovely Steve (you can just see him at the counter) was an amazing help, rummaging through boxes and pulling out all sorts of little accessories. ‘Try this!’, ‘How about this?’ , ‘Which wig, the white, the brown, the pink?’ Lots of fun! And relief to have it sorted. She said she feels ‘buoyant’ in her hooped skirt! 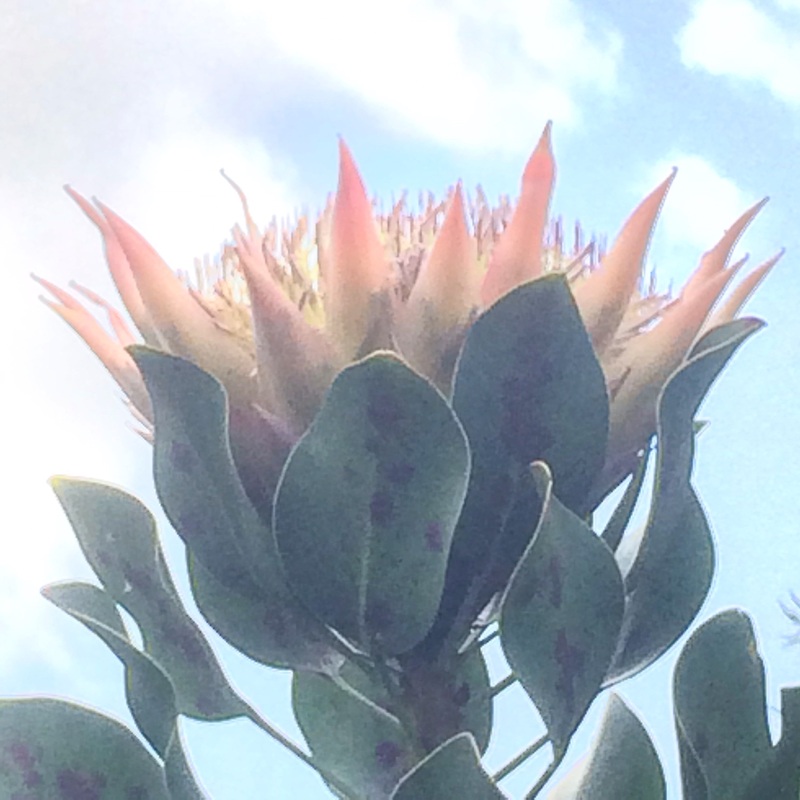 I spotted this amazing flower on my morning walk this week. I wrote about how I encountered it here. Do you like gnocchi? I like gnocchi. A few years ago, my girl asked if we could make our own. I said ‘yes’ through slightly gritted teeth, not relishing the prospect of mashing all that potato and trying to make it all extra smooth. But having overcome my initial reluctance, I have to say I now quite enjoy it and, okay, it is a tad messy, but it is reasonably quick. I can make it earlier in the day and just keep it covered with a damp tea towel in the fridge. And, of course, it cooks in a jiff. So this week in cucina Iris and Edie gnocchi all’Amatriciana was on the menu. Enjoyed by all! Yay! 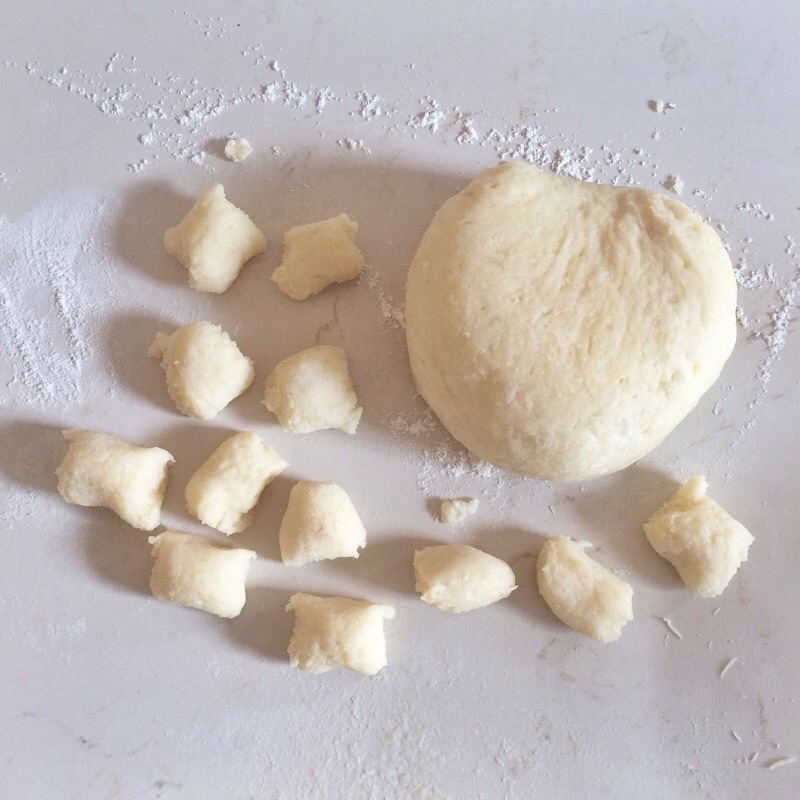 Gnocchi recipe below in case you feel inspired! 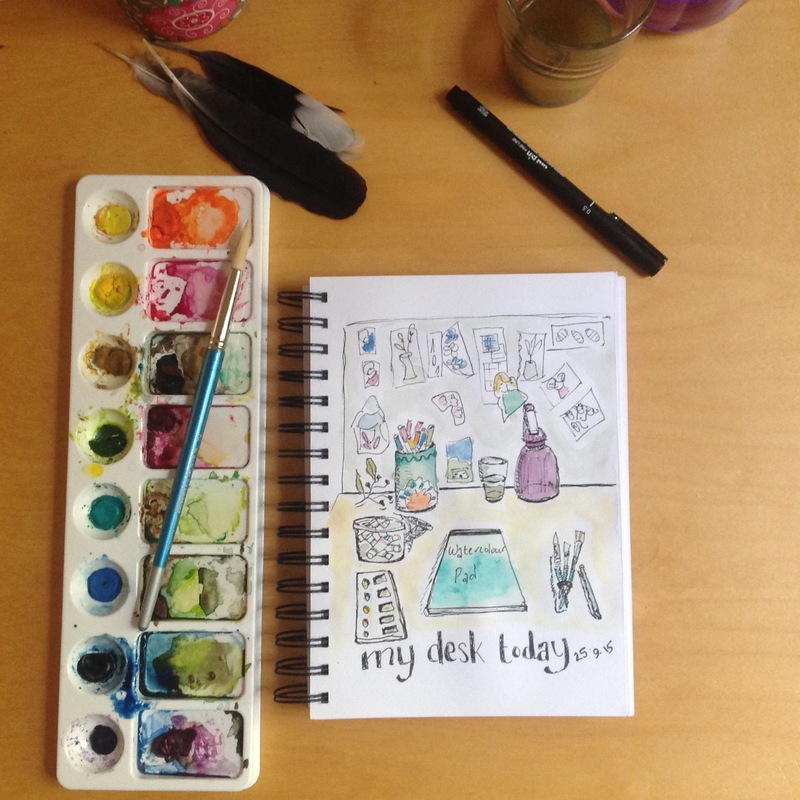 The last couple of weeks I’ve been joining along with this online art journaling course. I was always a crafty kid but I was never ‘good’ at art. After having my bubs, and inspired by Betty Edwards and Julia Cameron, I decided I wanted to try and crack this drawing thing! So over the past decade or so I’ve taken a few drawing and painting courses, and in the last couple of years, online ones too. I really enjoy it. I love the way drawing makes you actually LOOK at your subject matter and shake your preconceptions about how you THINK something is. I’m trying to commit to a daily practice so that I can keep improving both my drawing skills and to explore my creativity. Are you an arty person? Or more crafty? I’m assuming if you’re a bloggy person you must be a wordy person! So that was my week! The sun is shining today and the air has warmed. I’ve flung open the windows and doors and am welcoming the gentle breeze into our home. Might complete a few chores and then take my book and a cuppa outside to add some laziness to my Sunday. Enjoy the coming week. See you next Sunday! Iris and Edie’s not-quite-authentic gnocchi! Pop the unpeeled whole potatoes in a 200 degree Celsius oven for 1 1/2 hours. (You can boil them in the traditional way (it’s quicker) but this way you don’t use up a saucepan and the potatoes stay drier. Completely up to you!). Let potatoes cool for 10 mins and then scoop out the flesh and mash. I use a potato ricer but you could just use an old fashioned hand masher and maybe a balloon whisk to get them nice and smooth. Add egg yolks, salt and flour and use your hands to bring it all together. Knead gently on a lightly floured board/bench top until the dough is smooth. Divide into four portions and roll each into a long sausage about 2cm in diameter. If you’re not cooking them straight away, pop them onto a tray, cover with a damp tea towel and put them in the fridge. Bring a saucepan of water to a rapid boil, drop them in and scoop them out when they bob up to the top. Mama mia! You have beautiful fluffy gnocchi! Enjoy with your favourite sauce. < Previous I’ve never noticed that before! Love your watercolour sketch, Carolyn! You have such a good eye for perspective! 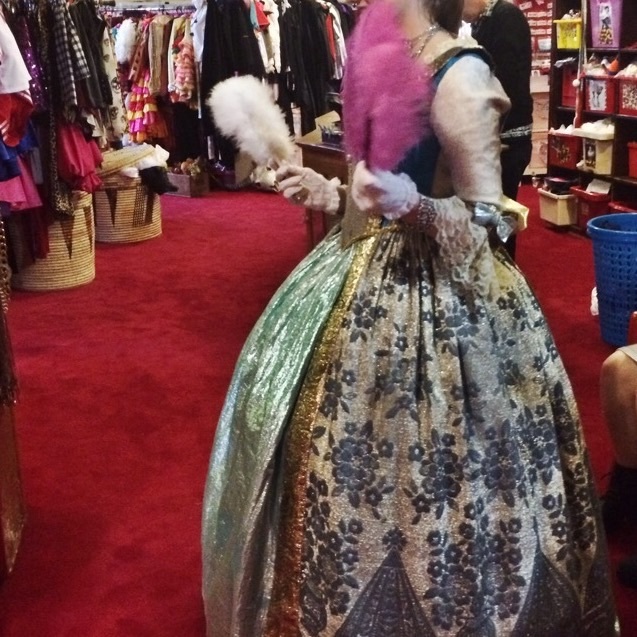 She’s playing the wife in The Government Inspector but recontextualised to pre-revolutionary France. Has been a fun subject but A LOT of work as I’m sure you’d know! Pleased she’s getting it out of the way this year! I did find him, Helen! Found out he works online with the artist who runs the art journalling class I’ve been doing! Pleased to hear the gnocchi was a hit! I never seem to make enough! I am loving the school holidays and the lazy mornings especially. That gnocchi recipe looks great – must try it! Hope you enjoy it, Robyna! One more week of lazy mornings… Thanks for stopping by! Loved looking at your pics and particularly loved the photo of the protea – I’m South African and it’s our national flower, so I’m a bit biased towards proteas 😉 Thanks so much for posting the gnocchi recipe, I make a baked gnocchi that my family love, but I always use the packaged gnocchi – I’m going to have to give your homemade gnocchi a try. Love your sketch! Thanks Gill! I never used to be a fan of the protea but I’ve grown to love its structural beauty – and these ones were such a beautiful soft colour. I hope you like the gnocchi.Whilst it’s not necessarily restaurant standard I must warn you that you won’t be able to buy the packaged one again! Thanks for stopping by!